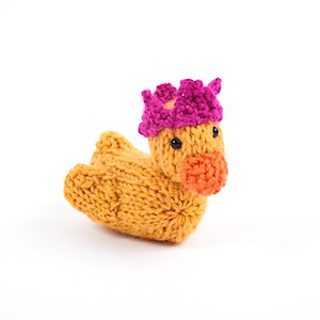 Little Hutty Duck is wearing his party hat as he was made to celebrate The Knitting Hut’s eighth birthday! He is knitted in pieces and sewn together (I used mattress stitch). 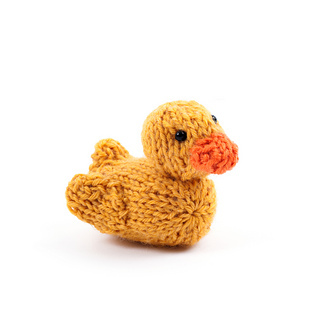 He is an easy project for a beginner knitter who can knit and purl and is approximately 6cm from beak to tail. 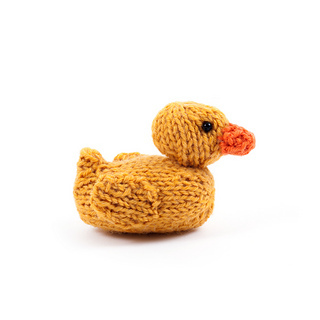 Little Duck is equally cute without his party hat!